Did Trump, or officials with his knowledge, collude with Vladimir Putin's Russia to hack the emails of John Podesta and the DNC, and leak the contents to damage Hillary Clinton and elect Donald Trump? A year and a half into the investigation, and, still, no "collusion" has been found. Yet the investigation goes on, at the demand of the never-Trump media and Beltway establishment. That, from the outset, Director James Comey and an FBI camarilla were determined to stop Trump and elect Hillary Clinton. Having failed, they conspired to break Trump's presidency, overturn his mandate and bring him down. On July 5, 2016, Comey stepped before a stunned press corps to declare that, given the evidence gathered by the FBI, "no reasonable prosecutor" would indict Clinton. Therefore, that was the course he, Comey, was recommending. Attorney General Loretta Lynch, compromised by her infamous 35-minute tarmac meeting with Bill Clinton -- to discuss golf and grandkids -- seconded Comey's decision. First, whether or not to indict was a decision that belonged to the Department of Justice, not Jim Comey or the FBI. His preemption of Justice Department authority was astonishing. Second, while Comey said in his statement that Hillary had been "extremely careless" with security secrets, in his first draft, Clinton was declared guilty of "gross negligence" -- the precise language in the statute to justify indictment. Also urging Comey to soften the fatal phrase "gross negligence" was key FBI agent Peter Strzok. In text messages to his FBI lover Lisa Page, Strzok repeatedly vented his detestation of the "idiot" Trump. After one meeting with "Andy" (McCabe), Strzok told Page an "insurance policy" was needed to keep Trump out of the White House. Also, it appears Comey began drafting his exoneration statement of Hillary before the FBI had even interviewed her. And when the FBI did, Hillary was permitted to have her lawyers present. One need not be a conspiracy nut to conclude the fix was in, and a pass for Hillary wired from the get-go. Comey, McCabe, Strzok were not going to recommend an indictment that would blow Hillary out of the water and let the Trump Tower crowd waltz into the White House. Yet, if Special Counsel Robert Mueller cannot find any Trump collusion with the Kremlin to tilt the outcome of the 2016 election, his investigators might have another look at the Clinton campaign. Kremlin agents fabricated, faked, forged, or found the dirt on Trump that was passed to ex-British MI6 spy Christopher Steele, and wound up in his "dirty dossier" that was distributed to the mainstream media and the FBI to torpedo Trump. The "dirty dossier," a mixture of fabrications, falsehoods and half-truths, created to destroy Trump and make Hillary president, was the product of a British spy's collusion with Kremlin agents. In Dec. 26's Washington Times, Rowan Scarborough writes that the FBI relied on this Kremlin-Steele dossier of allegations and lies to base their decision "to open a counterintelligence investigation (of Trump)." And press reports "cite the document's disinformation in requests for court-approved wiretaps." Director Comey has been fired. FBI No. 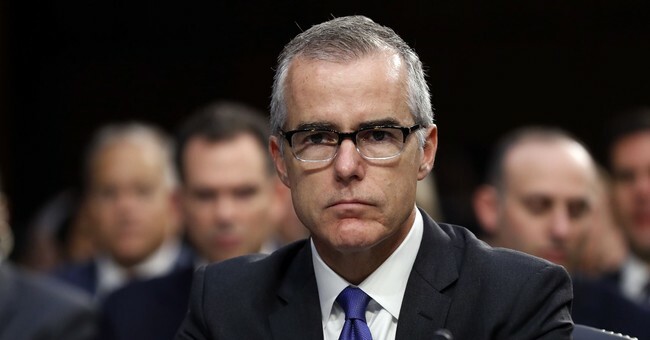 2 McCabe is now being retired under a cloud. Mueller's top FBI investigator, Peter Strzok, and lover Lisa, have been discharged. And Mueller is left to rely upon a passel of prosecutors whose common denominator appears to be that they loathe Trump and made contributions to Hillary. Attorney General Bobby Kennedy had his "Get Hoffa Squad" to take down Teamsters boss Jimmy Hoffa. J. Edgar Hoover had his vendetta against Dr. Martin Luther King. Is history repeating itself -- with the designated target of an elite FBI cabal being the President of the United States?